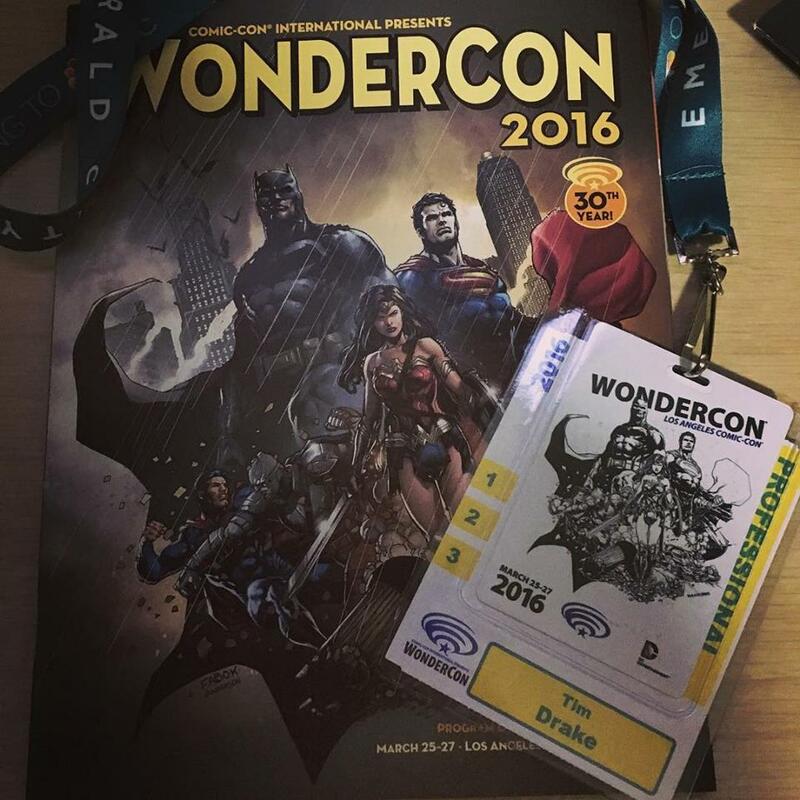 WonderCon 2016 has come to an end, and we had such an incredible time! 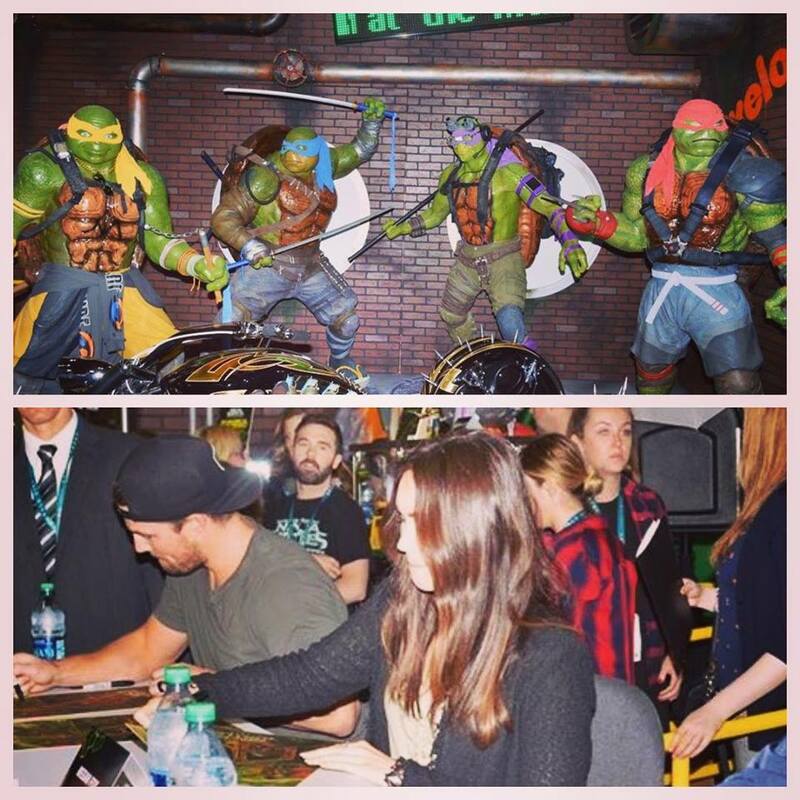 This year's convention was held at the Los Angeles Convention Center. 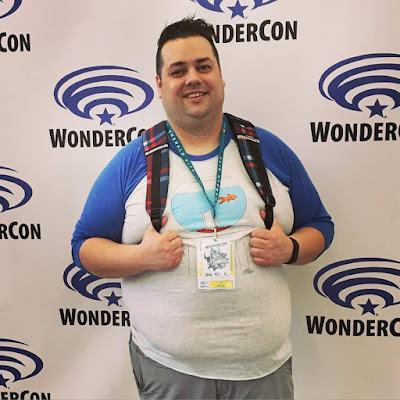 This was our first year attending WonderCon and it did not disappoint. 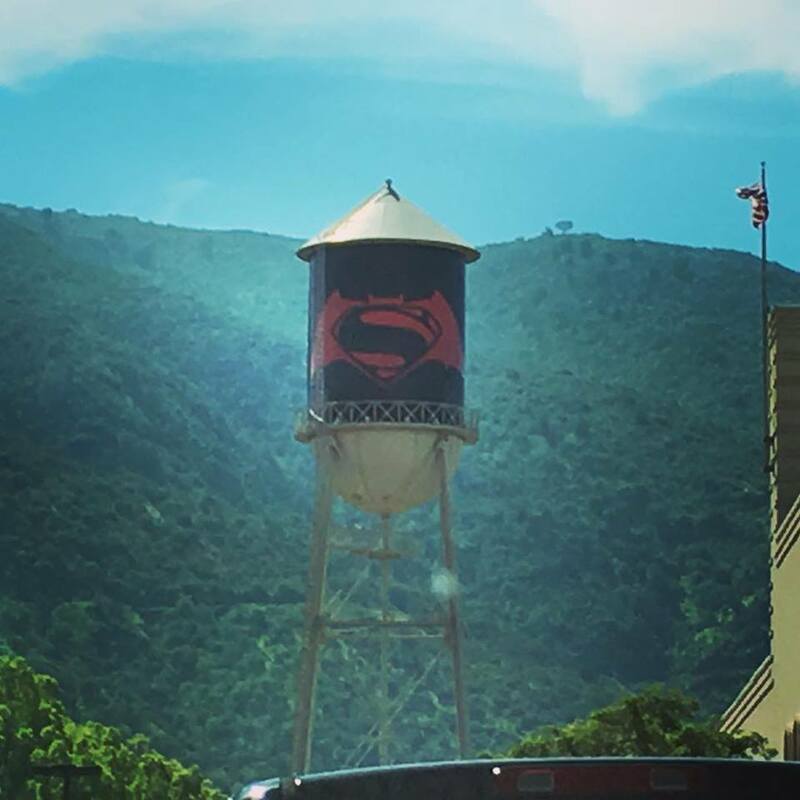 As we pulled into Burbank, the Warner Brothers tower welcomed us with it's weekend Batman v. Superman wrap. Despite the rough start picking up our badges, WonderCon treated us incredibly well from the start. The convention center staff was incredibly helpful in making sure we knew where we were going and showing us the fastest way to get to each panel room. 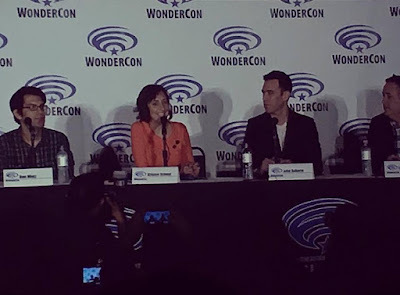 Before hitting the exhibit hall, we rushed upstairs to catch the Bob's Burgers panel, featuring show creator Loren Bouchard as the moderator and cast members Kristen Schaal, John Roberts, Larry Murphey, and Dan Mintz! The Bob's Burgers panel was everything that we hoped it would be. 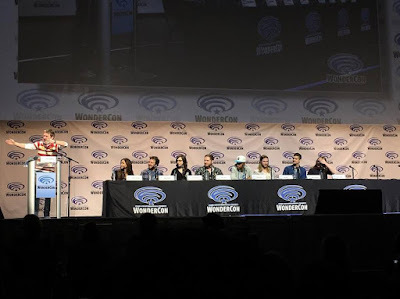 From hilarious script readings to footage from upcoming episodes for this season and next season, the panel did not disappoint. Loren Bouchard continued to tease the hopes for a Bob's Burgers album as well. 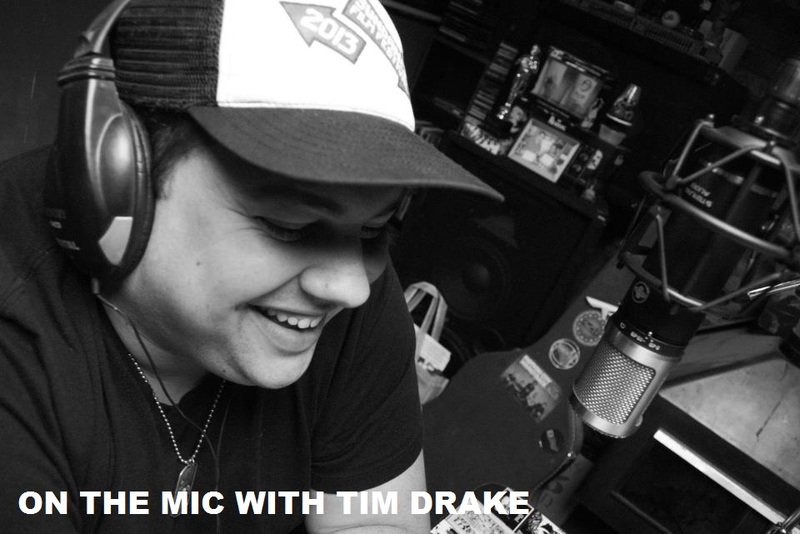 We will keep our fingers crossed for that! After the Bob's Burgers panel, we went down to the exhibit floor where I ran into The Bat Commander from The Aquabats! 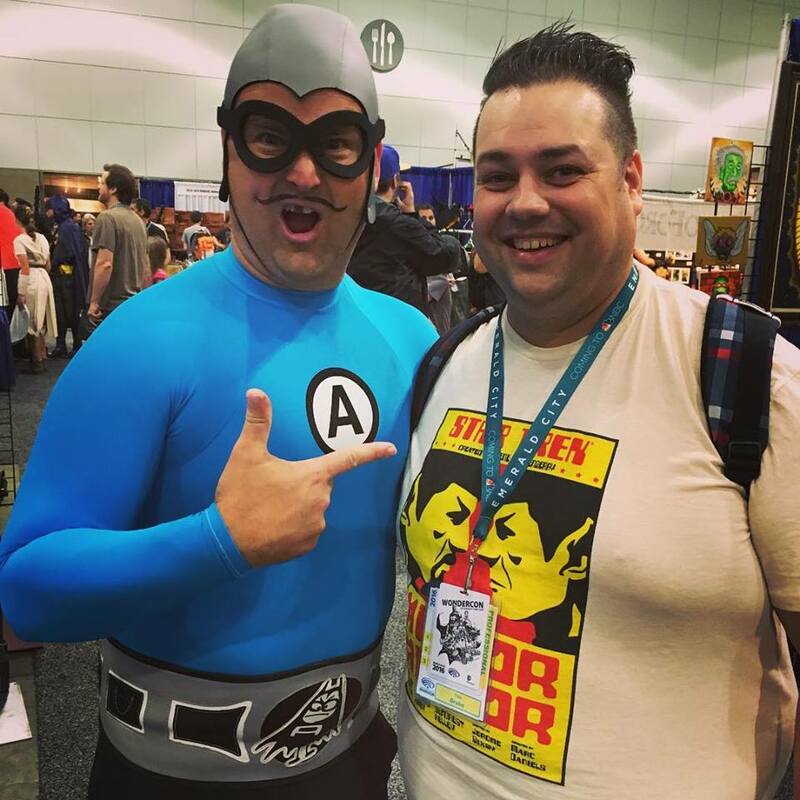 It's always great to run into the guys from The Aquabats. 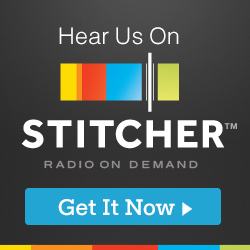 We've had them as guests at Salt Lake Comic Con and they've also stopped by Radio From Hell a number of times while I was doing some work with them. 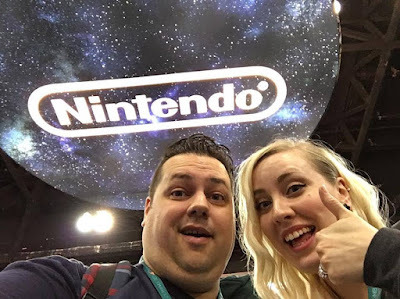 One of our next stops was over at Nintendo's booth where they were showcasing several new games, including the new Star Fox game that will be releasing soon. We traveled 600 miles so my wife could continue to play video games. She was more than happy to test out the new Star Fox game. 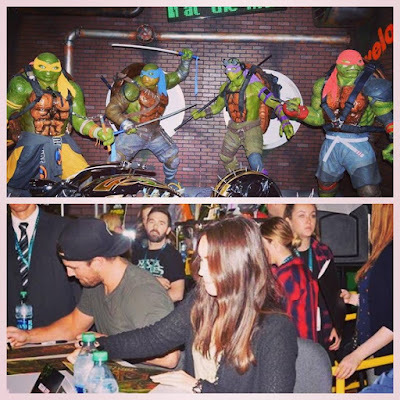 While wandering the exhibit floor we also encountered Stephen Amell and Megan Fox signing autographs for fans of the upcoming Ninja Turtles: Out of the Shadows film. 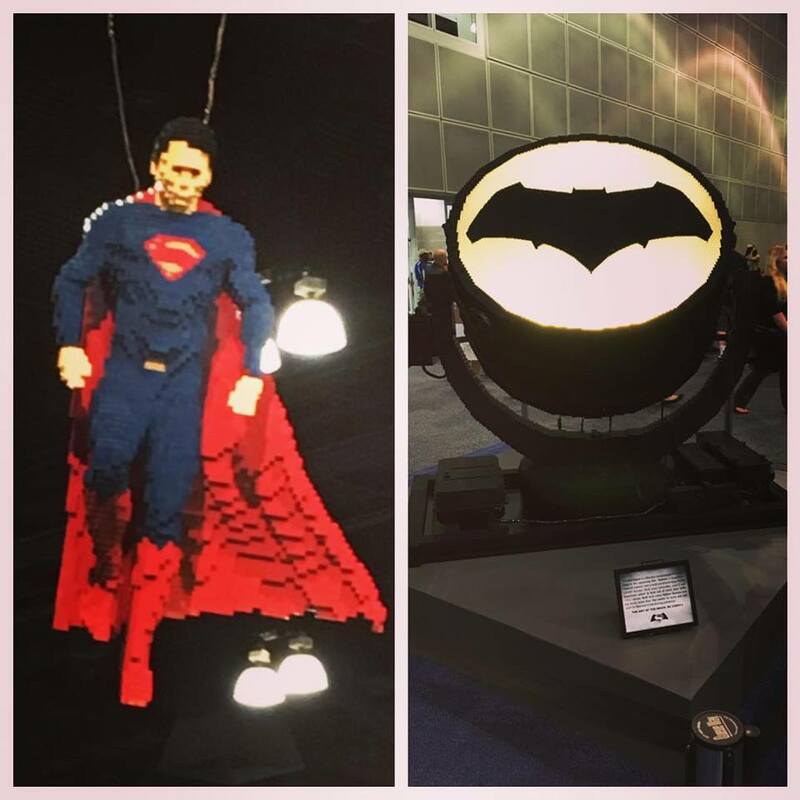 Lego continued the Batman v. Superman theme on the exhibit floor with these two awesome lego sculptures of the Bat Sign and Superman suspended over the exhibit hall floor. Funko made their presence known all throughout the floor with giant Pop! figures across the floor. 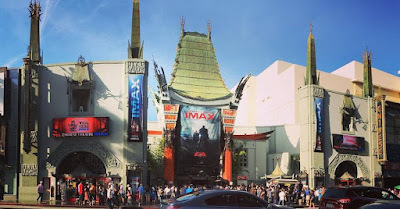 We decided to take the next day off and spend some time around Hollywood where we had to stop at the Chinese Theatre for another screening of Batman v. Superman! The crowds were excited to finally see this film. 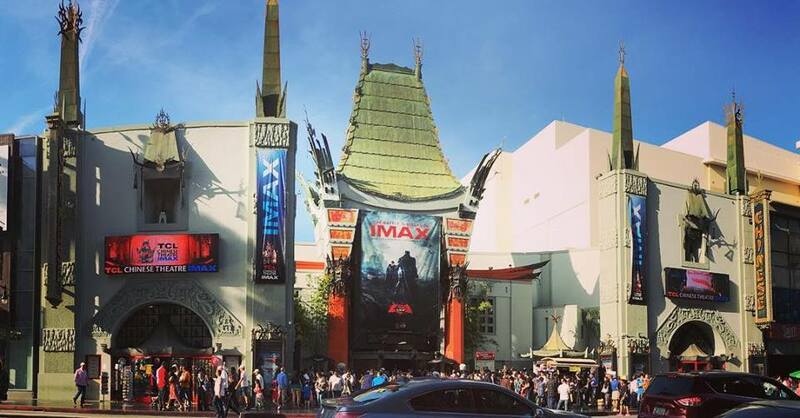 Opening weekend at the Chinese Theatre was the perfect way to see the film. 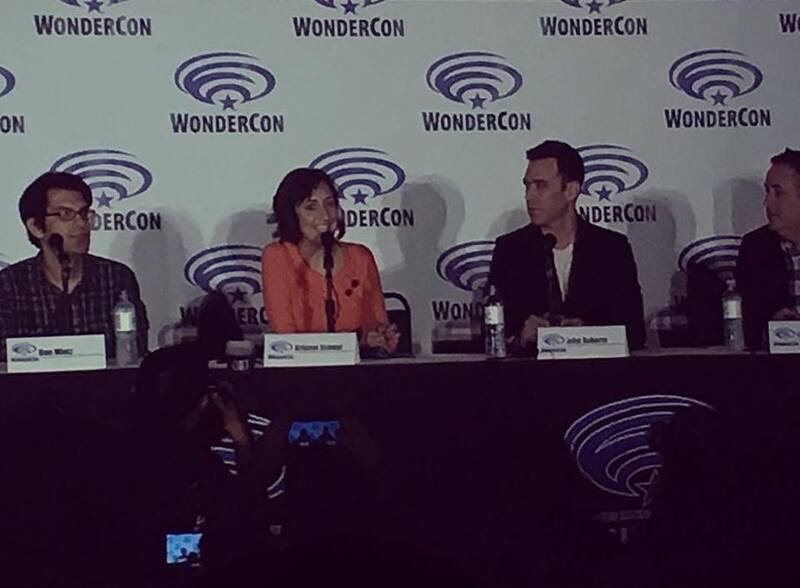 The next day we got up early to head back to WonderCon for the Nerdist panel! The panel was morderated by the one and only, Chris Hardwick! Joining Chris on the panel was Jessica Chobot (Nerdist News, Bizzare States), Dan Casey (Senior Editor of Nerdist), Malik Forte (Nerdist Gaming), Kyle Hill (Nerdist Science Editor), Alicia Lutes (Nerdist Managing Editor) and other members of the amazing Nerdist family who's names escape me. 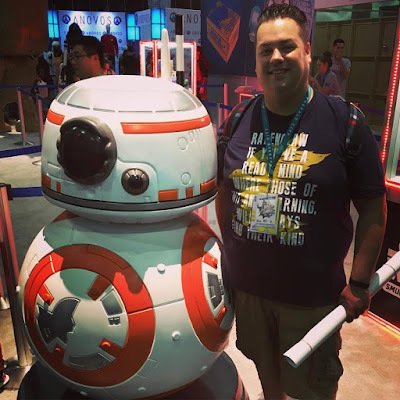 I had a chance to talk with Chris for a moment following the panel. 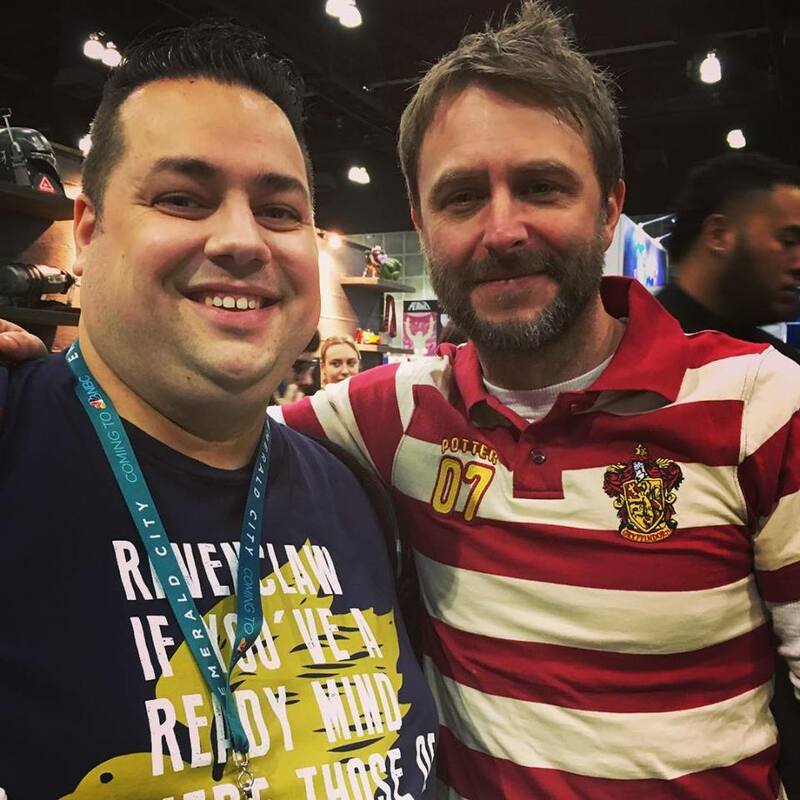 It's always great to see Chris at events. 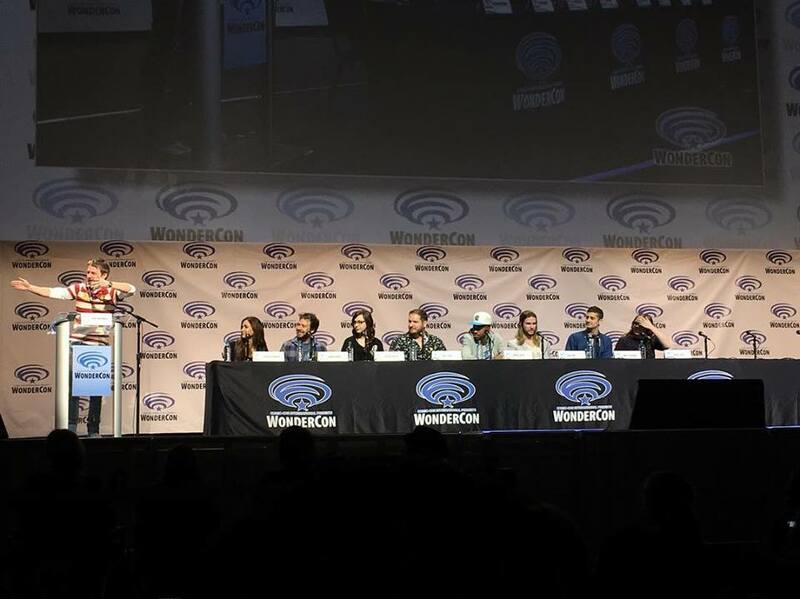 After the Nerdist panel, we stuck around for the panel for the hit CW show, The 100. 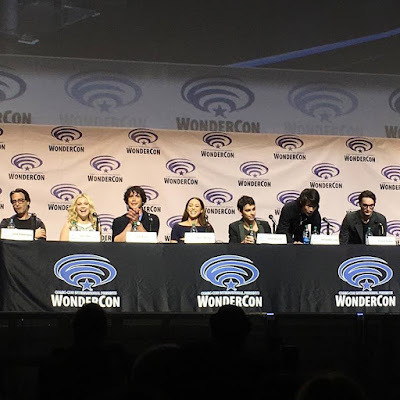 Fans were excited to see the cast and had a lot of questions for the writers after a controversial death this season. 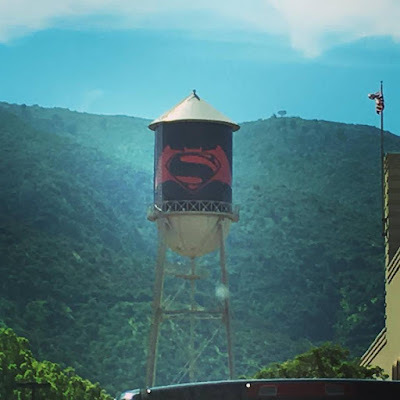 I kind of felt bad for the writers for as harsh as the fans came at them, but they handled it well. Los Angeles and WonderCon treated us great as always! 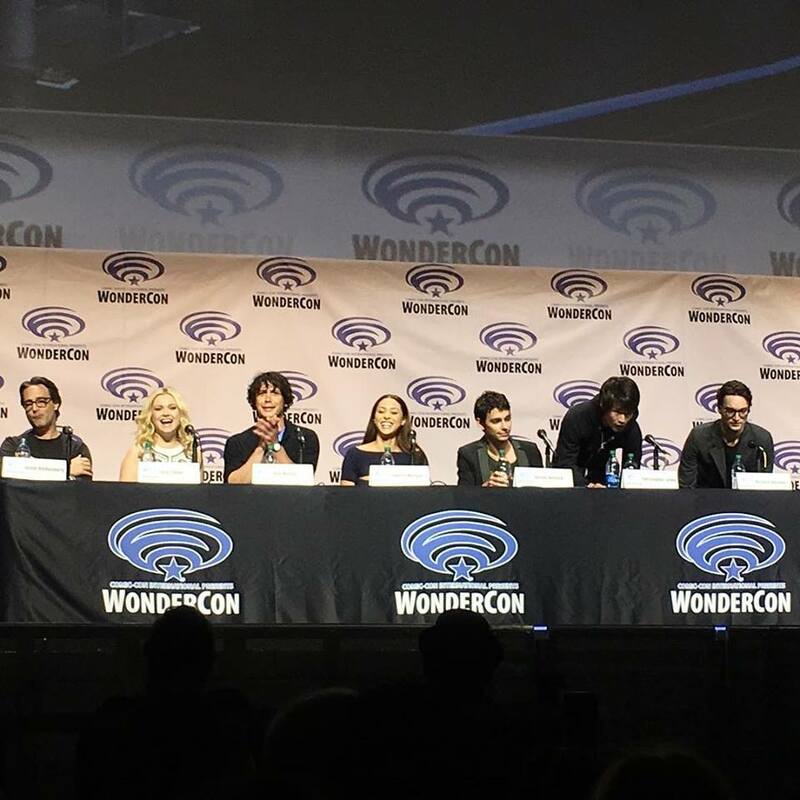 For this being our first WonderCon experience, we couldn't have asked for a better time. 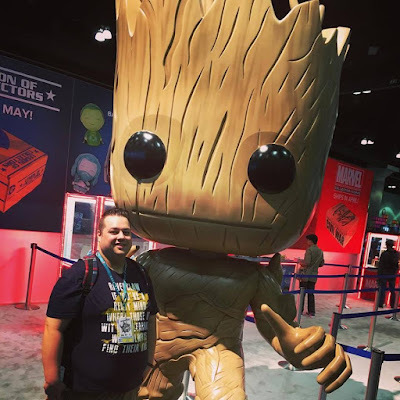 We can't wait to return next year as WonderCon returns to Anaheim.